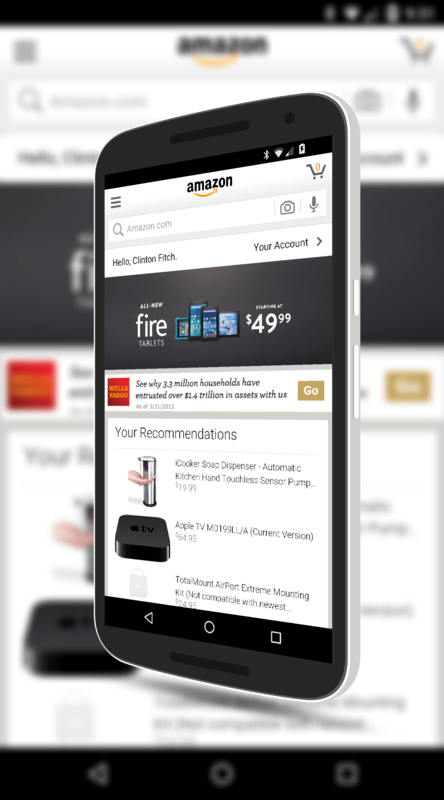 Amazon has released an update to the Amazon Shopping app for Android Phones that brings a mix of updates and new features. From an updates perspective, this new version 6.0.0.100 supports all of the run-time permissions for those of you who are running Android Marshmallow. This is part of the overall improvements in app permissions that has come with the latest version of Android (You can read about them in my review of Android Marshmallow). These new permissions are important for the other big news that comes with this update to the Amazon Shopping app: Voice commands. to my cart” or “Put a Nexus 9 on my Wish List”. These new commands in the Amazon Shopping app add to those that were already there such as being able to track your order (say “track my order”) or reorder products. As you would guess, for those who are running Android Marshmallow, you will now have to give the Amazon Shopping app access to your phone’s microphone in order to use these new voice commands. It should be noted that this update applies only to the Amazon Shopping app for Android phones. The tablet version of the app has not been updated at the time of this post.